When you think of the wives and girlfriends of criminals and mobsters in cinema and television, what or who comes to mind? Kay Adams? Elvira Hancock? Skyler White? They are either victims of a man's misdeeds or end up becoming part of the problem. They might get fancy jewelry or a big house, but they are the ones who get shut out of the room. They get greedy. They get addicted. They get killed. And, as an unwritten rule, they are secondary. TORONTO (AP) — To Viola Davis, being naked on screen or onstage means more than having your clothes off. It means ridding yourself of self-consciousness and ego. It means exposing yourself. 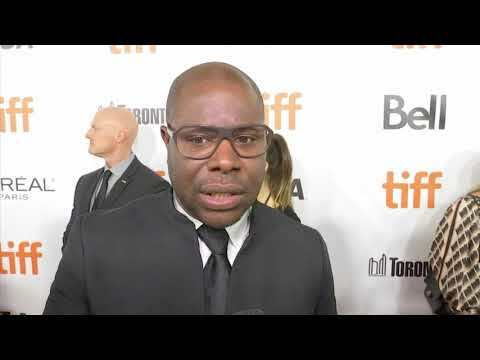 LONDON (AP) — The London Film Festival kicked off Wednesday with the European premiere of British director Steve McQueen's whip-smart heist thriller "Widows." LONDON (AP) — Academy Award-winning director Steve McQueen is planning an ambitious project to take a portrait of every third-year pupil in London — tens of thousands in all. The "12 Years a Slave" director will oversee a team of photographers taking class photos at all of London's 2,400 primary schools over the next nine months. NEW YORK (AP) — The Toronto International Film Festival is an overwhelming omnibus of moviegoing that every year, through an onslaught of Oscar contenders and cinematic feasts, reflects the world around us. But more than usual, this year's festival radiates with urgent topicality, both on screen and off. LONDON (AP) — A group that uses architecture to uncover human rights abuses is among four finalists for the prestigious Turner Prize for art. London-based collective Forensic Architecture, which includes artists, architects, lawyers and researchers, creates 3-D visualizations that have been used by prosecutors and rights groups around the world. Film and video artists Naeem Mohaiemen, Charlotte Prodger and Luke Willis Thompson are the other names on the list of finalists announced Thursday. He didn't know the course. He didn't grasp the conditions. He didn't even have the right setup in the car. BEVERLY HILLS, Calif. (AP) — One year ago, most audiences didn't know the name Daniel Kaluuya. Now, the 28-year-old British actor has a best-actor Oscar nomination for starring in one of last year's biggest films, "Get Out"; a culture-shifting blockbuster opening this week ("Black Panther"); and a Steve McQueen film on the horizon. Las Vegas — The nearly $1 million sale of a rare Vincent Black Lightning has set a new record for the highest price ever paid for a single motorcycle at a public auction. Going under the gavel at $929,000 at a Bonhams auction held at the Rio Hotel and Casino, the unrestored Vincent bested the previous sales record set in 2015 when a 1915 Cyclone, once owned by the actor-rider Steve McQueen, went for $775,000. There seemed to be more news about sports-car companies making SUVs in 2017 than their core, two-door performance products. But they were out there. Ford started delivering the street-legal, $450,000 version of the LeMans-winning GT race car to a lucky few customers. At the other end of the income spectrum, Mazda rolled out its sexiest Miata yet, the RF hardtop. Corvette introduced the most fearsome, front-engine ZR1 ever before it transitions to a new-generation mid-engine design next year. Speaking of front-engines, the incredible Dodge Viper was put out to pasture. We'll miss you, Snake. Walk through the Hall A entrance to the Detroit auto show at the north end of Cobo and you're standing on the gridiron. The automotive Super Bowl. You can almost smell the testosterone. A long purple carpet marks the scrimmage line separating the Ford and Chevy teams. These two arch-enemies face each other across the carpet with armies of firepower. Ford rolled out a new 475-horsepower Mustang Bullitt in honor of the 50th anniversary of the Steve McQueen film of the same name Sunday at the Detroit auto show. The limited-edition, de-badged, manual 'Stang is outfitted with a 5.0-liter V-8 Ford said can crank out "at least" 475-horsepower and 420 pound-feet of torque. The vehicle tops out at 163 mph, an 8-mph uptick over the latest Mustang GT. Charlie Hunnam initially rejected the chance to star in 'Papillon'. The 37-year-old actor appears in the new biographical film based on the autobiography of the French convict Henri Charriere, but Charlie has admitted he was apprehensive about appearing in a remake of the 1973 movie of the same name, which starred screen icon Steve McQueen. LONDON (AP) — Writer-director Kelly Reichardt's spare and subtle Montana drama "Certain Women" has won the best-picture prize at the London Film Festival, while "12 Years a Slave" director Steve McQueen received a major career award. The festival wraps up Sunday with "Free Fire," a 1970s-set comic thriller by British director Ben Wheatley. LONDON (AP) — Writer-director Kelly Reichardt's spare and subtle Montana drama "Certain Women" won the best-picture prize Saturday at the London Film Festival, while "12 Years a Slave" director Steve McQueen received a major career award. A jury headed by Greek director Athina Rachel Tsangari praised the masterful imagery and quiet modesty of Reichardt's film about three women — played by Kristen Stewart, Michelle Williams and Laura Dern — struggling with life in a chilly small town. LONDON (AP) — A model train and bare buttocks are among artworks nominated for the prestigious Turner Prize. Work by four shortlisted artists went on display Monday at London's Tate Britain gallery. The show includes Michael Dean's scrap-metal sculptures, Helen Marten's collage-based works, Josephine Pryde's model of a graffiti-covered train and Anthea Hamilton's surrealist sculptures, including a 10-meter (33-foot) tall model of a man's naked posterior.